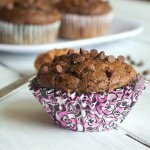 Triple Chocolate Muffins – rich chocolate muffins that are moist, tender, and actually pretty good for you! Have you done with all of your Christmas shopping yet? Are you one of those that waits until the last minute? I am usually pretty good about getting it done a little early. I spent a bunch of time wrapping presents the other day, only to find that I am way short on gifts for both of our Dads. Everyone else is covered, but those two need more! So if you have any great Dad ideas, for Dads that don’t need anything, let me know. One thing I am doing for the teachers at school this year is making baked goods. I bought cute tins to put them in, a fun holiday spatula and a roll of cellophane to wrap it up. I am still debating on what to make for them though. 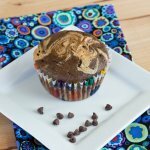 It is either going to be Chocolate Pumpkin Bread or these triple chocolate muffins. I figure either way, chocolate will win over the teachers. I need to make up my mind though, because the gifts need to go to school on Friday! 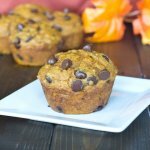 I actually made these muffins for Thanksgiving. My parents were visiting, so I had them ready Thanksgiving morning for a quick breakfast. Needless to say, they did not last long. 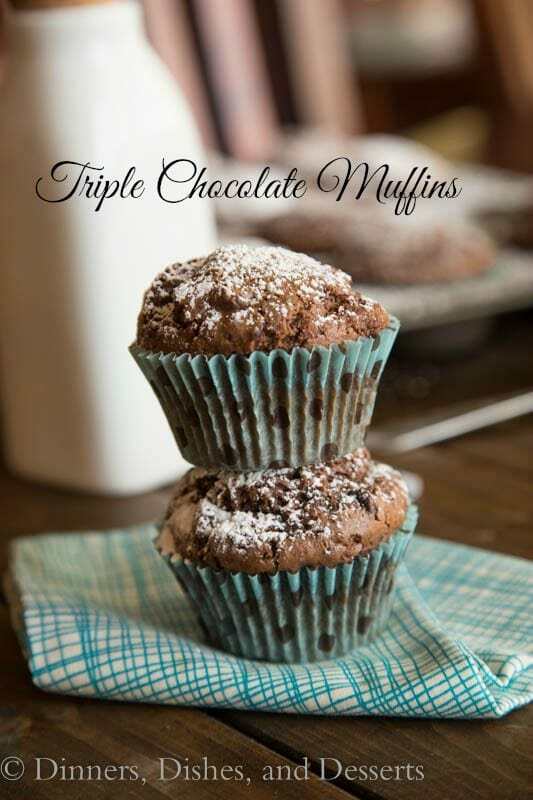 You know anything with the words “triple chocolate” in the title is going to be good. 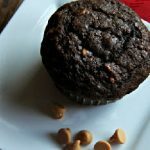 But these were better than your average muffin. You start them at a high heat, then turn down the oven part way through cooking. This gives you the big dome top, and soft tender center. 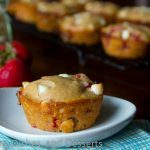 Bakery style muffins at their best! Preheat oven to 425 degrees. 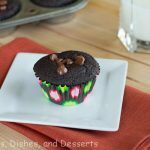 Spray or line a 12 cup muffin tin with liners. Melt dark chocolate and butter together. If using a microwave, stop to stir every 30 seconds. Whisk together flour, cocoa powder, baking powder, salt, and baking soda. Set aside. In a large bowl combine sugar, milk, vanilla, and eggs. Mix until well combined. Add flour mixture, and mix until just combined. 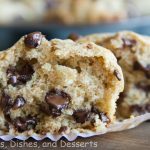 Fold win chocolate chips. 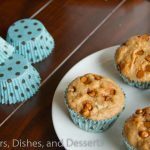 Fill the 12 muffin tins with batter. Bake for 5 minutes at 425 degrees. Reduce the oven to 375 (leave door closed) and cook for an additional 10 minutes. A tester should come out clean. Remove from the oven and cool for 5 minutes before removing from the pan. Once completely cool, dust with powdered sugar if desired. Time for the GIVEAWAY!!! I love Cooking Light. I have been a faithful subscriber to their magazine for years. About a year ago they asked me to be part of their Bloggers’ Connection group. 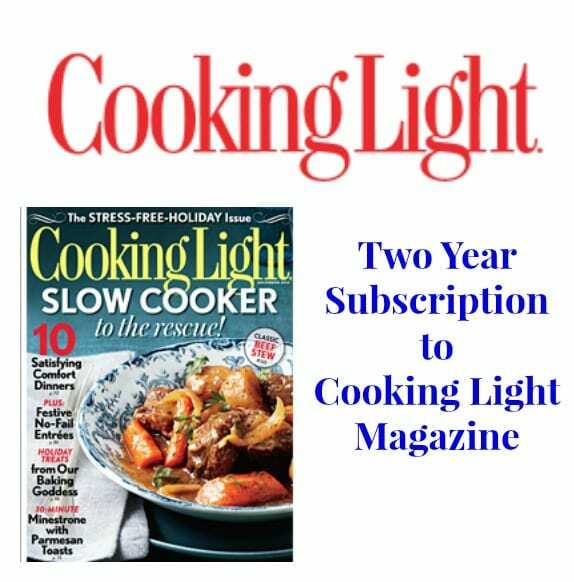 Today I am excited to offer one (1) lucky reader a TWO YEAR Subscription to Cooking Light magazine. 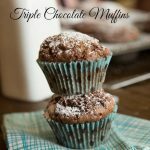 Beautiful muffins, I love anything triple chocolate! I’m a last minute shopper- I still have so much to do! 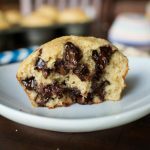 I’ll be wrapping on Christmas Eve for sure 🙂 These muffins sound amazing – you never have to ask me twice when it comes to chocolate for breakfast! 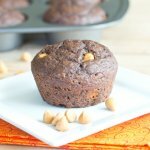 Nothing better than a warm muffin out of the oven and when you kicked it up with chocolate – now this is supreme! 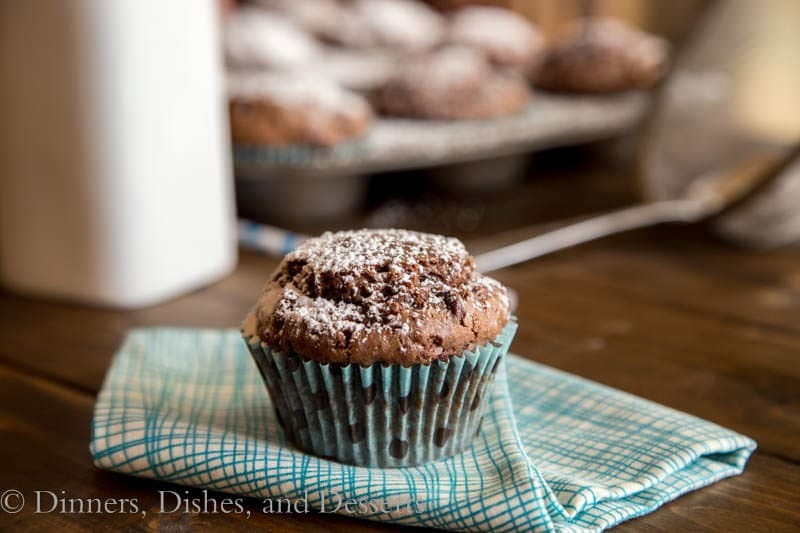 My other half loooooves chocolate muffins. They have become a bit of a tradition for special occasions! 🙂 Thanks for sharing this giveaway with us. Such pretty pretty pics! Delicious recipe, Erin! What pretty pictures! 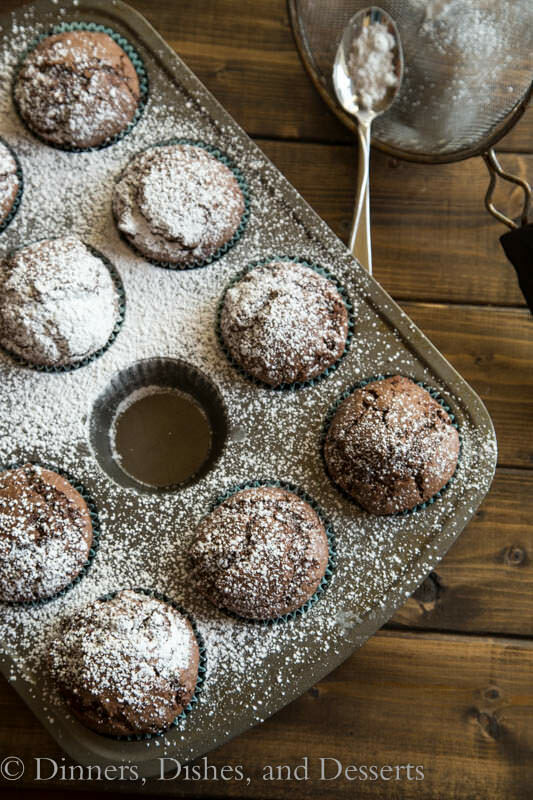 🙂 Like a winter wonderland of muffins. And my goodness are you busy over here! How in the world do you keep up?! 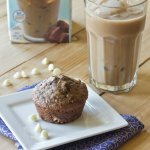 Great muffins, triple chocolate is always a good thing! 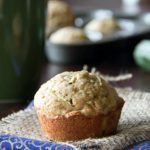 From what I have read the high heat at the start lifts the muffin quickly, and creates the tall dome. I don’t know if it activates the baking powder quickly or why it happens, it just does 🙂 Then you lower the temp to finish cooking them more slowly, so they don’t get crusty on the outside.